Today the CIA released close to 470,000 files recovered from the compound in Pakistan where US forces killed Osama Bin Laden in 2011. The files include Bin Laden’s journal as well as audio and video files from devices seized throughout the Abbottabad compound. Much of the entertainment recovered doesn’t exactly square with the image of “a terrorist who’s responsible for the murder of thousands of innocent men, women, and children,” as President Obama referred to Bin Laden, addressing the nation shortly after the man behind 9/11 was shot by Navy SEALs. Even amid ancient viral YouTube videos and Western movies, 12 particular files are especially strange. It seems Osama Bin Laden (or someone at the compound) watched anime, in both an entertainment and pornographic context. The string of numbers and letters is largely irrelevant, but the first clue is MSOMS-ANIME. Msoms-anime.net happens to be the name of an Arabic-language anime forum. According to web metrics company Alexa, it’s the 2,191st most popular page in Saudi Arabia. Within the forum, MCT appears to be a section dedicated to fan translations, and the wonderfully-named “nooood” is a user responsible for many such translations. As to that bracketed 534—that’s an episode number. Few anime series run that long, and the only translation matching that number we could find on msoms-anime.net was “The New Scar and the Whistling Man,” an episode of the shonen series Detective Conan, also known in the West as Case Closed. Stranger still, the pirated episodes available span from episode number 452 to 550, but only 12 are present. In short: A computer recovered at the last place Osama Bin Laden was alive contained at least a dozen, non-consecutive episodes of an animated show from Japan in which a boy detective solves crimes. Now to clarify, there’s nothing wrong with enjoying anime, and we can’t know for sure these were watched by Bin Laden himself. 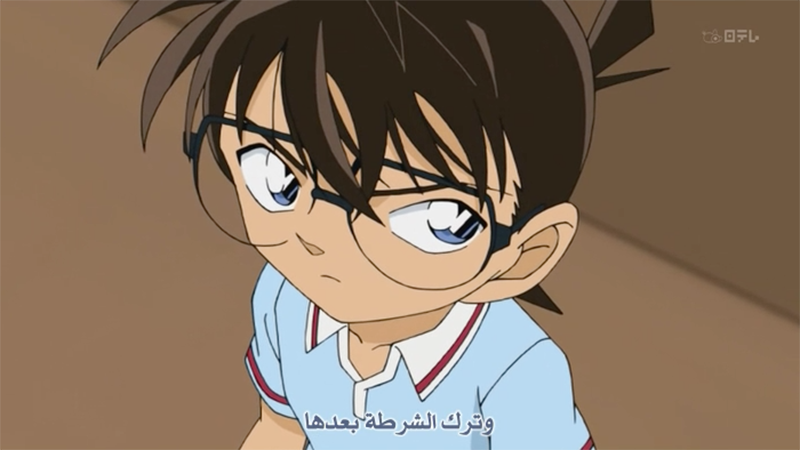 Even so Detective Conan is not exactly what one might associate with a terrorist mastermind who evaded capture for many years, or even a close confidant of such a person. Even less so are some of the ancient-looking games included in the CIA files that are quite a bit less PG. First noticed by David Thorpe, someone at the compound possessed an enormous library of sad jack-off games. Was it the same person watching Detective Conan out of order? And was that person Osama Bin Laden? We may never know, but now we’re stuck thinking about it.